Ridgway was founded by, and named for, the Philadelphia shipping merchant Jacob Ridgway. It was a center of industrial production for lumber, clay, leather and iron and is home today to many historic buildings. Ridgway is the county seat of Elk County. Click the thumbnails below to see a larger image. 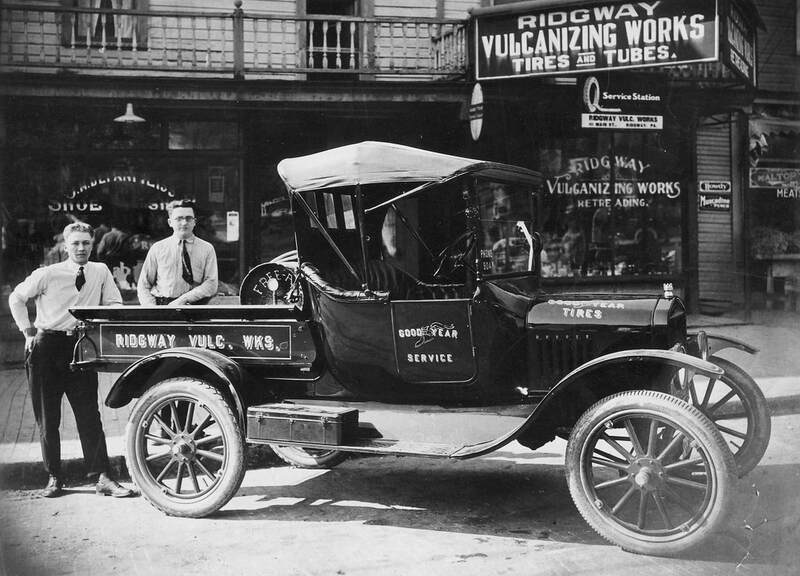 Ridgway Vulcanizing Works tire store in the early 20th century. 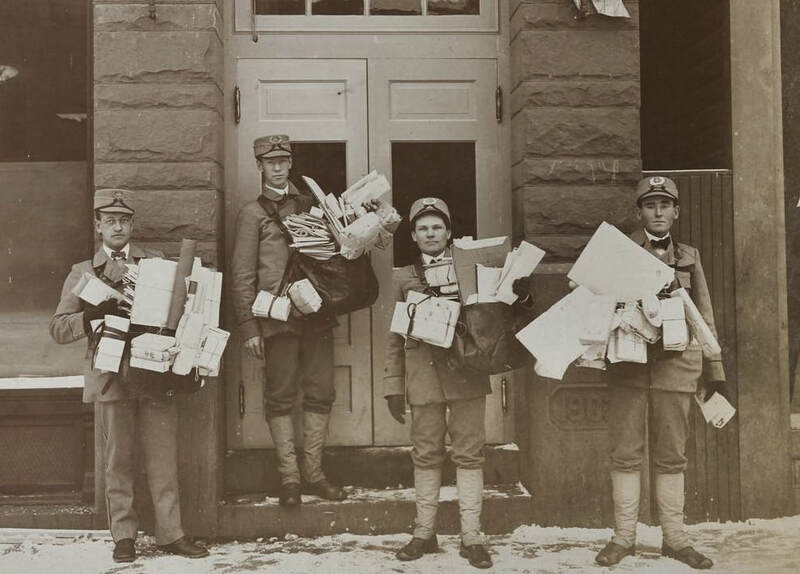 Ridgway postal employees carrying parcels, Christmas 1904. No. 3 baggage transfer wagon dating to around 1920. Identified as the Klingel house on Main Street around 1915. 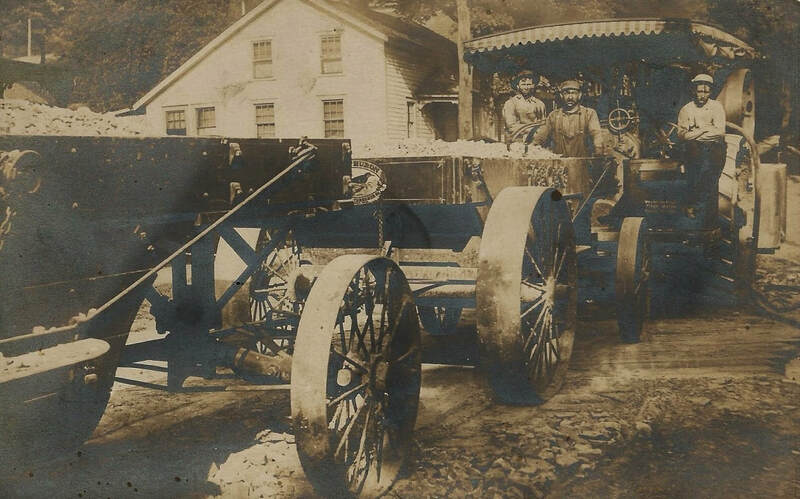 Label identifies the vehicle as a threshing machine. 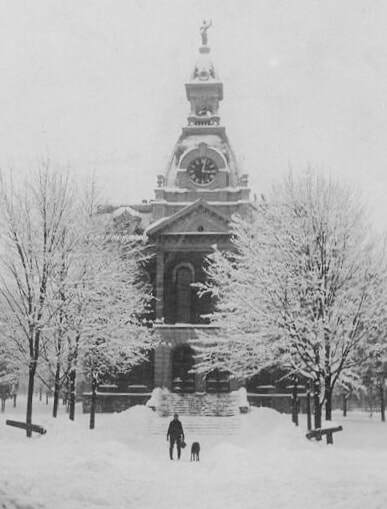 Elk County Courthouse in the snow with the original Blind Justice statue on top. The statue was destroyed by lightning in the 20th century. 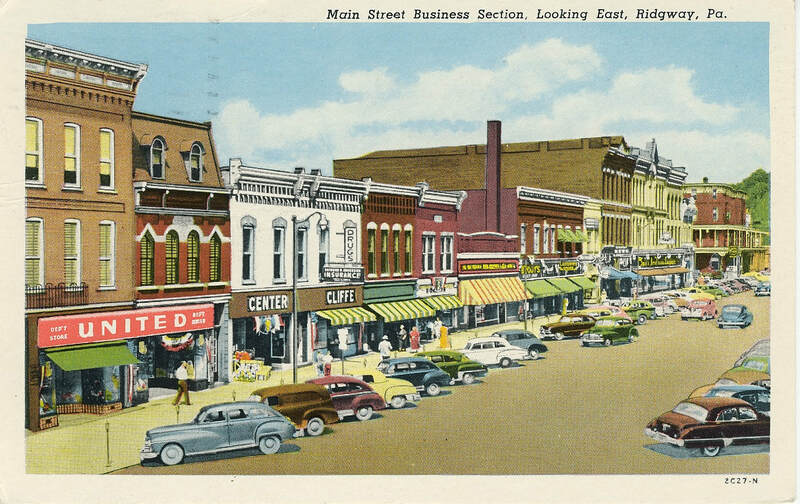 Postcard of Ridgway's Main Street in the 1940s. 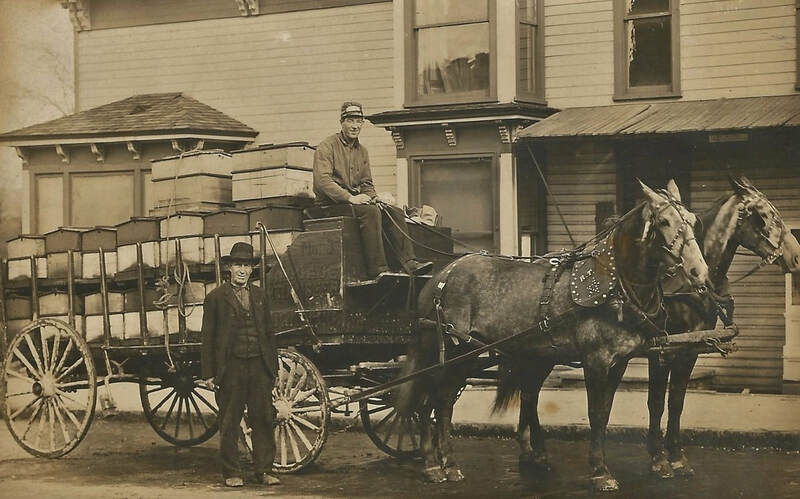 The family owned Cliffe's Drugs is still in operation today.